Why should the teachers be given due importance? What should be the role of Government and the society for the welfare of the teachers community? Teachers' Day is observed on the 5th September every year. It is the birthday of Dr. Sarvapalli Radhakrishnan. He began his life as a teacher and rose to eminence as one of the greatest philosophers of the world. He was elected vice-President and then the President of the Indian Republic for his contribution to the realm of knowledge and the dignity of India. He wished that . the 5th day of September be observed as Teachers' Day instead of being observed as his birthday. The teachers are the builders of a nation. They are entrusted with noble task of preparing the future citizens of the country. They impart knowledge, the sense of duty, discipline, manners and responsibility to the students. They build up the characters of the students and prepare them to shoulder the responsibility of the nation in future. 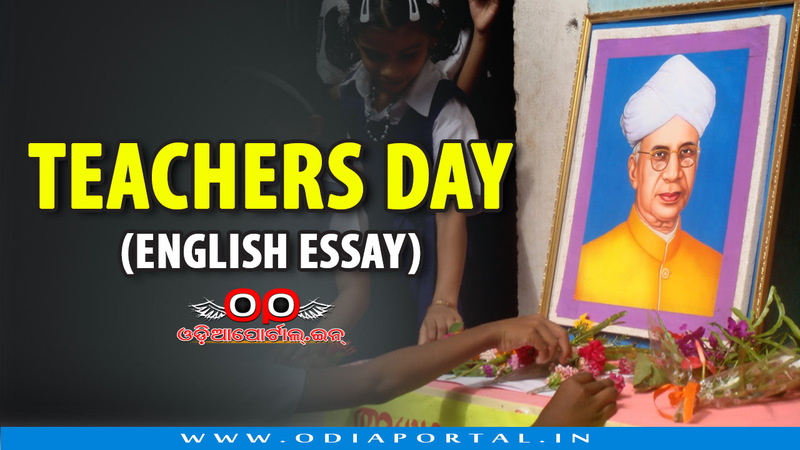 Therefore Teachers' Day is observed to pay respect to the teachers in recognition of their duty and responsibility and position in the Society. The Teachers' Day is observed in Schools and Colleges all over the country. Students arrange meetings on this occasion to show respect to their , teachers. Guardians and the public are invited to those meetings. The lives and the activities of the "Gurus' and Dr. Radhakrishnan are discussed in order to inspire the younger generation. The students give rousing welcome to their teachers. They garland their teachers and Solicit their blessings. This is the fittest occasion when a student finds scope to pay tribute to his teacher. Teaching is an honourable profession. A teacher influences the society and brings about national reconstruction. His role in this respect is great. Teachers occupy the highest place in the Society in view of their services. So a teacher should always be held in highesteem. Keeping in view the invaluable services rendered by teachers to the nation, the government should give top priority to improve their status. The teachers should be given due importance. They should be given full scope in fulfilling the national task entrusted to them. We can never dream of any progress of our nation unless the lot of teachers improves.